After two attempts to have faulty weather stripping repaired under warranty on my new Ford TarusX, I came to the conclusion it would be easier to fix it myself than to get Ford to honor their warranty. Since I was going to this much effort anyway, why not document it so others can learn? Though this did not seem hard to repair, apparently it is. 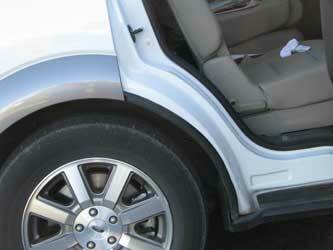 The two attempts to have the weather stripping fixed by a shop were at two different dealerships. The purpose of this web page is just to get the layout figured before I post it on instructables.com. 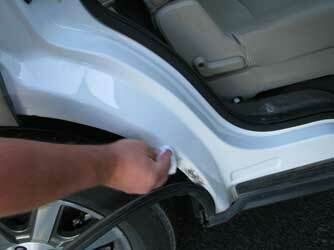 There the most people will get a chance to learn how to make this simple repair. Maybe I'll send a link to the shops that tried and failed. Here is the problem. 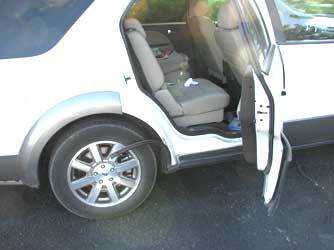 Everytime the right rear door is opened on my 2008 TarusX, the weatherstripping falls down. 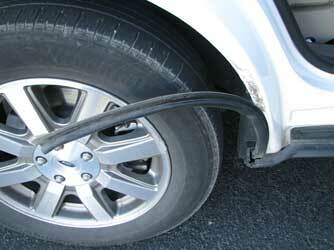 It would only be a matter of time before the tire chewed it up. A closer Picture of the problem. 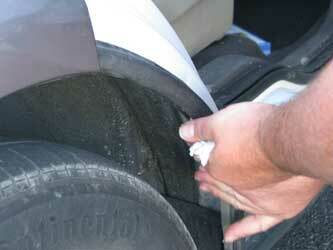 Step one is to clean up the dirt and grit that had accumulated because it had no weatherstripping to protect it. 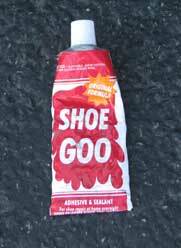 Shoe Goo, it is probably not Ford approved for this application, but this project became mine when I could not get warranty work anyway. This rendered using the ideal product a moot point. FWIW: I've had great luck using this in other applications. It is flexable and was on hand. 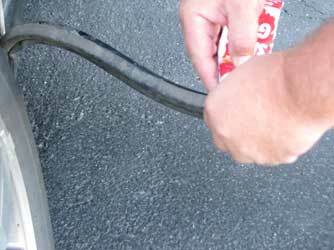 Place a drop every few inches, be sure the adhesive stays inside the channel where the weather stripping contacts the metal. Press the weather stripping firmly into place. Stand back and consider opening a shop to compete with the dealership.